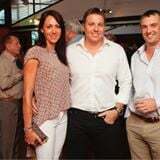 Nellie Marks Nakamarra was born in 1962 and is the younger sister of the renowned Central Australian artist Elizabeth Marks Nakamarra. Growing up with the same artistic influences they share a similar style and many of the same dreamings. Nellie was taught to paint by many of the founders of the desert art movement. 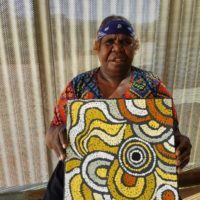 Born in Papunya and growing up in the Western Desert, Nellie’s greatest artistic influences included Old Mick Namarrari, her step-father Turkey Tolson, Uta Uta and many others.Women’s Dreaming stories from the Western Desert form the basis of Nellie’s work. Showing her family as they move through the country collecting Medicines, water and Bush Tucker, Nellie portrays a fruitful land. The women travel through the bush teaching the children where to go to find these foods and medicines. Painting in earthy tones she depicts women’s Lightning Dreaming, women’s ceremonies and women’s Tingari. One of Nellies better known stories is Kalimpinpa, which is the area she grew up in. The large rock hole at Kalimpinpa is a really deep rock hole. The men form a chain down to the water and scoop it up with a Coolamon and pass it up along the chain. This rock hole runs down under the ground and is difficult to access the water when there has been very little rain and the water level has dropped. Women’s body paint designs also feature heavily throughout Nellie’s artistic practice. Nellie enjoys experimenting with different colour palettes and has become incredibly confident in mixing colours for her works. Nellie is naturally a quiet and shy woman, however her association with other famous artists has given her the confidence to enter into wider society so that she may now show the world her culture and her Dreamings as a successful artist. 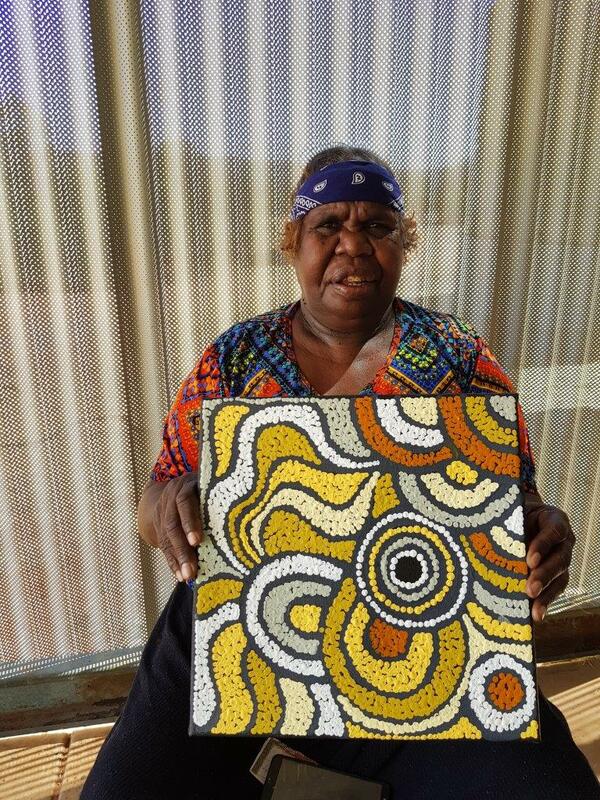 Nellie depicts ‘Women’s Ceremony’ and ‘My Country’ in her paintings. Most typically Nellie will paint a combination of these two Dreamings together. Nellie represents the women travelling across the country in her paintings with traditional iconography. Concentric circles are used to represent sacred women’s sites while linear patterns emerging from these circles represent the women travelling from sacred site to sacred site. 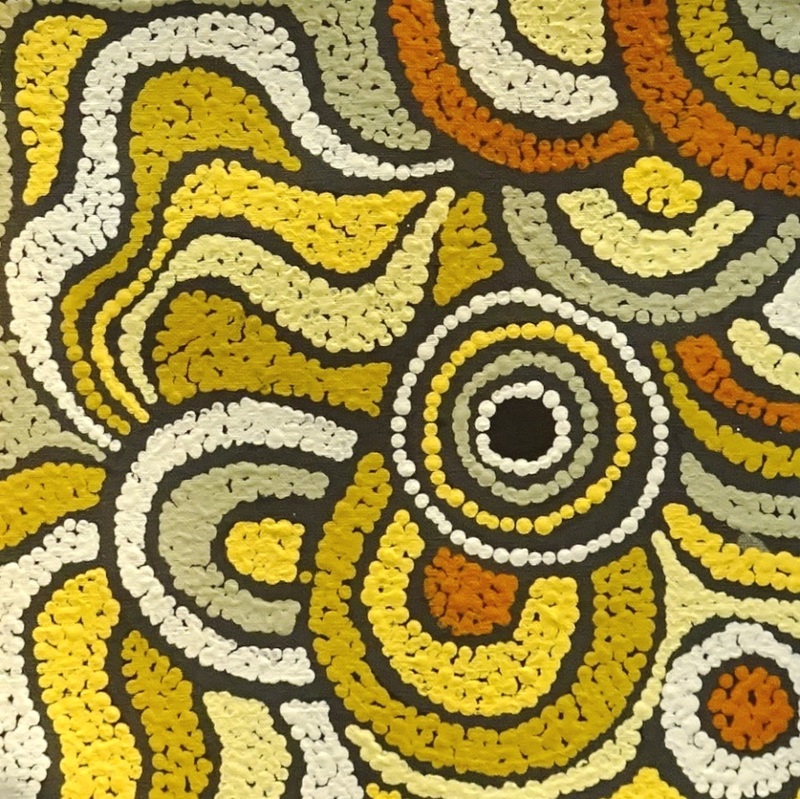 Women’s body paint designs and the important bush tucker also feature heavily throughout Nellie’s artworks. Nellie has an incredibly strong aesthetic and combines rich earthy colours with a bright contemporary colour palette.